Improved charging infrastructure is the number one factor that would persuade more fleets to add electric vehicles (EVs) to their choice lists, trumping financial incentives such as the Government plug-in car grant scheme, according to recent research. 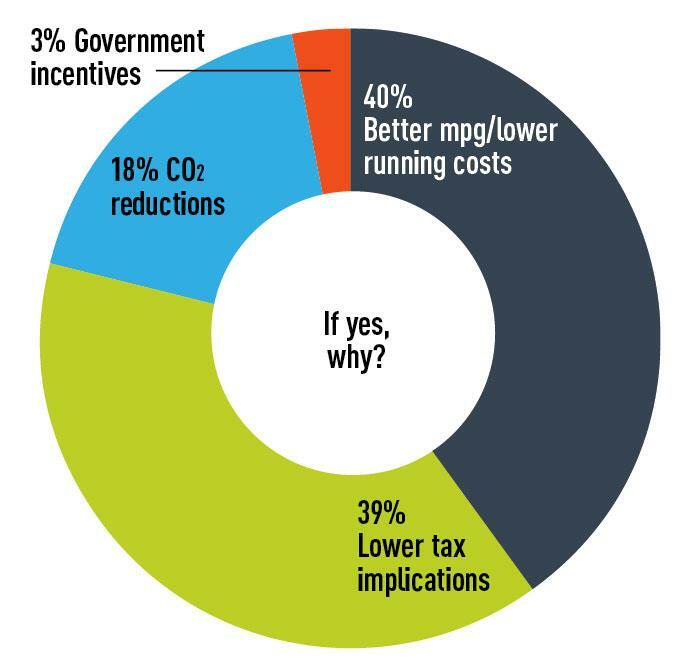 However, the difference is narrow with 55% of fleets stating that the ability to charge EVs nationwide at fuel stations, supermarkets and other public places would encourage them to adopt them, compared to 51% who said they’d be more likely if more money was available. Only one in three (35%) respondents said nationwide charging could not persuade them to choose the technology. Deputy Prime Minister Nick Clegg recently announced an additional £9 million to help boost the charging infrastructure, including £5.8m for rapid charge points, as part of its Go Ultra Low initiative. There are currently more than 5,000 public chargepoints across the UK, with the Government now committed to investing around £40m to create an even larger network. In 2013, it also announced funding to help local authorities install rapid chargers, which allow an EV to be charged up to 80% full power in less than half an hour. Coupled with those installed by other organisations, a strategic network of around 500 rapid chargers will be deployed by the end of 2015. Manufacturers such as Nissan, Renault and BMW have ploughed billions of pounds into the technology and have backed the Go Ultra Low scheme. Last week also saw the launch of London’s first all-electric taxi fleet by Chinese car manufacturer BYD. The move into London transport by the company comes ahead of the 2018 deadline for all of the city’s taxis to be zero emission. While registrations of plug-in hybrids, range extenders and pure EVs are still relatively small, they increased by 20.5% in 2013 to 32,715 units, according to the Society of Motor Manufacturers and Traders (SMMT). In a response to a question in Parliament about uptake of the £5,000 plug-in grant, roads minister Robert Goodwill recently admitted that only £230m of the original £400m pot set aside when the scheme opened three years ago is likely to be handed out by the time the offer expires in 2015, leaving £170m in unclaimed subsidies. 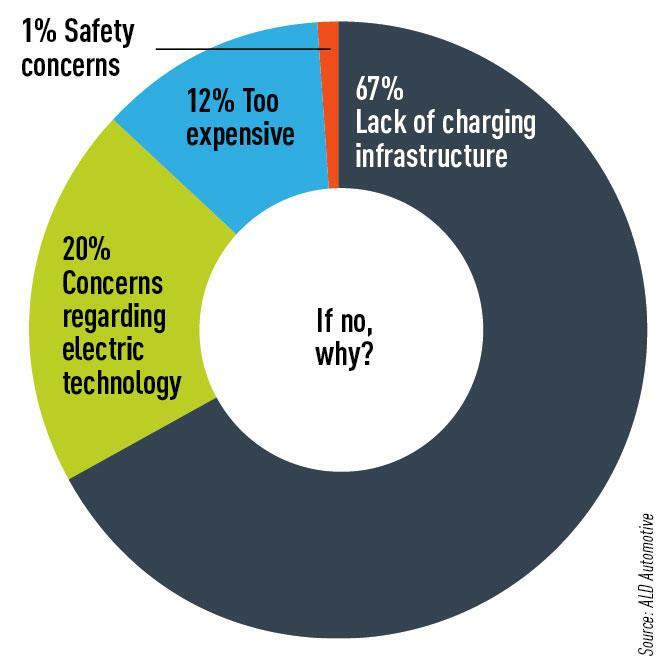 Two-thirds (67%) of respondents to an ALD survey said the lack of a national charging infrastructure was the biggest stumbling block to them adopting the technology. New research from Leasedrive Group suggests that the issue is not only deficiencies in the charging network. Company car drivers also need more education about the technology if Government and manufacturers are to give the market for plug-in vehicles renewed impetus. 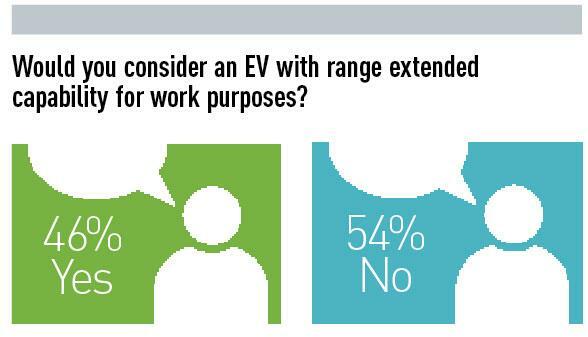 A survey from Leasedrive revealed that one in three company car drivers is unsure about choosing an EV and of the 420 drivers surveyed who provided reasons for their decision, 13% cited a lack of knowledge. The Energy Saving Trust, through its Plugged-in Fleets Initiative (PIFI), has sought to help organisations understand where EVs could play a role in their fleet. Leasing companies have also launched a range of initiatives to help demonstrate the potential benefits of operating an EV as a company car. Roddy Graham, commercial director at Leasedrive, said: “It has been left up to manufacturers such as Nissan and BMW to seize the initiative, not to mention all the third-party EV supporters, some of whom put the Government to shame in the efforts they go to in educating the public. Which technology are you most enthusiastic about as a future powertrain? Click here to vote in this week's poll.